If you are planning a caravanning holiday to Cork and are looking for a holiday park with great facilities, as well as access to a wide range of fun activities, then don’t delay and book your spot at Trabolgan! 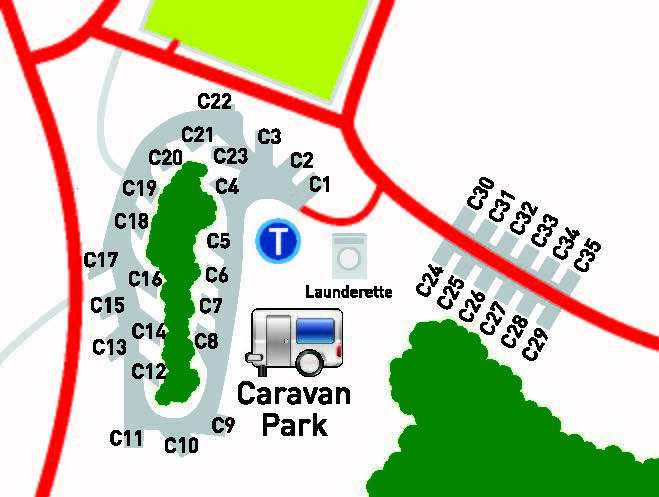 The caravan park is located on over 5 acres of peaceful woodland and open meadow, where your family will enjoy full access to all Trabolgan Holiday Village facilities. With only 35 pitches and a superb setting, this holiday park has grown in popularity over the years, so book early! Water tap - Cold./Drainage connections for sink only. Range of Fun Activities Available! There are a fun range of activities that are included in your stay including the indoor pool paradise, fitness suite, Par 3 golf course, indoor and outdoor play area's and daily and nightly entertainment shows. Trabolgan also offer a host of activities including Adventure Sport Activities, 9 hole fun crazy golf, Bird of Prey Centre etc available at an additional cost. Get up to 33% off Caravan rates below when you book and pay in full by the 30th April 2019! Call TODAY to BOOK! Join our Trabolgan Caravan Membership Club today to book your 2019 caravan break and to get exclusive members offers for the 2019 season. Contact our office for your membership form and sign up TODAY. Once you are a member you can book your 2019 getaway break and avail of the many perks. Book a 7 night stay, midweek or weekend caravanning break with us between the 28th June and 22nd August 2019 and you can come back for two similar caravanning breaks outside of July and August. (Subject to availability and registration. Must register when booking July or August break, terms and conditions apply. Payment in full required). To book your caravan break today call our reservations team TODAY on +353 (0) 21 4661551. We are also closed for certain midweeks/weekends throughout the year, please check with our holiday sales team. All pitches are subject to availability.